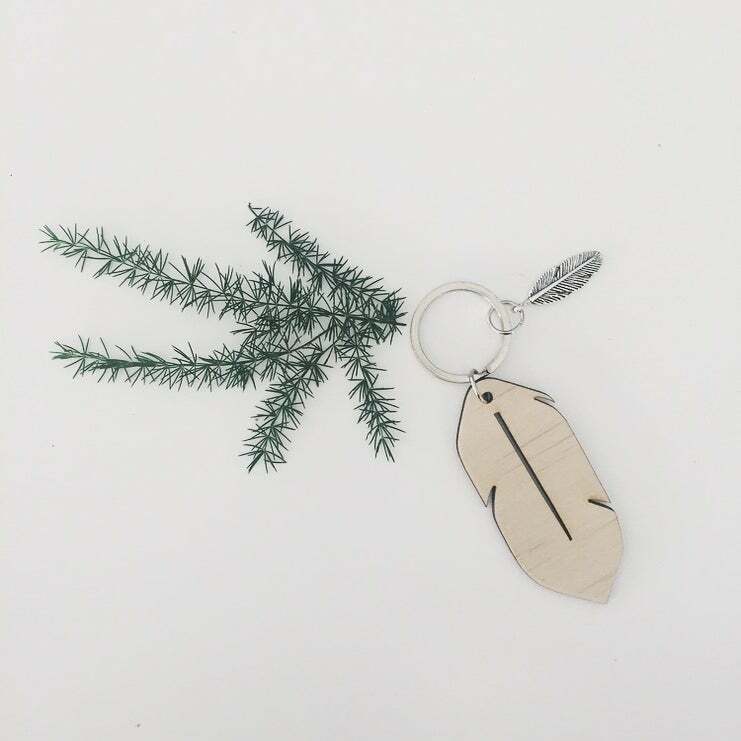 In 2014 I designed and released a wood feather key ring and sold them in my store. Marketing only to my Instagram followers (IG @_zilvi), I donated the profits of almost $6000 to Brad Cronk. A young man I had never met. Brad is fighting inoperable brain cancer. Diagnosed just 6 weeks after returning from his honeymoon while his wife Vanessa was pregnant with their second child (and Brad's third), the news devastated this young family. Brad is now unable to work. They have had to sell their family home and move in with Brad's parents. Vanessa now cares for Brad and their children. Now, in 2015, I have donated all stock and created an online store for the Cronk family on their behalf. Handing the store and stock over to them, they now own www.afeatherforbrad.bigcartel.com. Every cent from sales now goes directly to this family. They manage all sales and shipping of the key rings. The sales of the key rings will help ease some of the everyday financial pressures, medical expenses and hopefully allow Brad and Vanessa to take their children on a much deserved family holiday in 2016. To support, please head to www.afeatherforbrad.bigcartel.com and purchase a wood feather keyring for just $10 each. On behalf of the Cronk family, thank you.